Are your dentures uncomfortable? It might be time for a reline from Denture Design Studio. Located in College Place, Washington, and also serving Walla Walla and surrounding areas, the experienced team offers a full range of specialty denture services including denture design, repair, and relines. Get the fit you need for your dentures by calling Denture Design Studio today. Dentures are removable dental appliances that replace missing teeth. They are designed to not only improve your ability to eat and speak, but to improve your appearance and maintain your oral health. 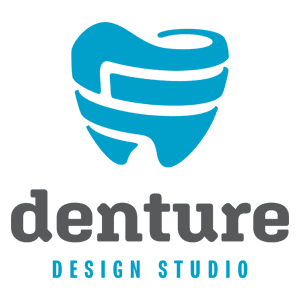 Denture Design Studio has over 30 years of experience offering a variety of denture services including custom denture design, implant-retained dentures, and partial dentures. All of their dentures are made using custom models of your mouth to ensure the best function, fit, and natural appearance. Dentures not only enhance your life and renew your confidence, but they can also help you enjoy eating again. Denture relines refit the tissue side of the denture where it rests against your gums. When your dentures are new, they typically have a more secure fit. Over time, your oral tissues change, and your dentures can come loose. That’s when you get your dentures relined at Denture Design Studio. The service restores the fit and function of your dentures. You might also consider denture relines to repair cracked dentures or delay the cost of having new dentures made. Denture Design Studio performs all denture relines on-site in their laboratory and offers same-day services. There are two ways to reline your dentures, a soft reline or hard reline. Soft relines involve layering a liquid polymer into your denture to add cushion and depth. This option is designed to increase comfort and is especially effective if you have sensitive gums, although it might not be right for every patient. Hard relines add a hardened material to your denture. This option gives longer-lasting results than a soft reline. A denture’s lifetime is typically 5-10 years, but it typically depends on how well you care for it. Denture Design Studio performs hard and soft denture relines on-site in their lab and offers same-day services. Call today to schedule your free consultation.